This is possibly the shortest route up to the summit. Start from S483 901 A (Point A) , a road barrier will prevent you from driving further into the forest. Continue on until you come to a crossroads, at this point you turn right and proceed to walk uphill. At the next junction take the track the branches off to the left , Stay on this track ignoring the turn off to the left . As you continue on the forest becomes less dense. You will eventually reach a small clearing. 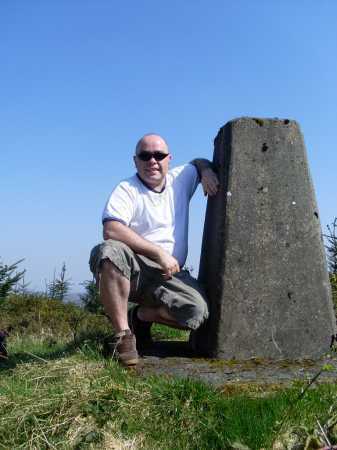 Continue forward along a narrow path and after about 20 metres you will have reached the trig pillar. The only difficult part of this trek was the last 20 metres .